In my literary monograph, Sleeping with the Boss, I tried to open up the feminist critical project by showing that author gender has no bearing on the creation of feminine-structured narrative. My central argument expands on narrative poetics to suggest that female subjectivity is the central concept in defining a woman’s narrative and asserts that such female consciousness may permeate the writing of men as well as women. Warren’s novels reveal the consistent pattern of a major woman character in a liaison with a wealthy or powerful man; those sexual relationships, I maintain, are pivotal in establishing female personae whose effect on the narrative overturns conventional readings of the novels’ meaning. For example, I presents a subversive analysis of the character Amantha Starr (Band of Angels), heretofore viewed as a simpering victim by critics. 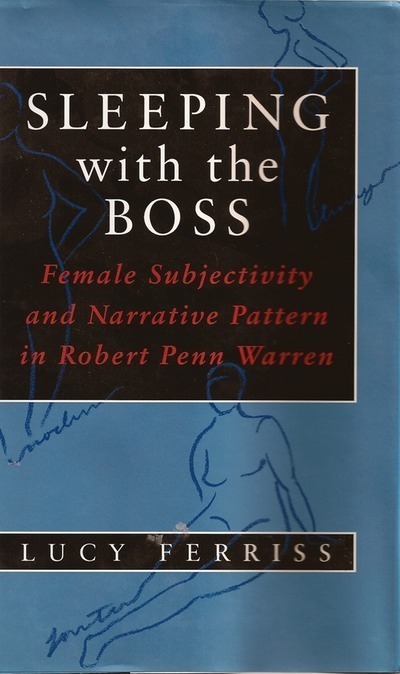 Sleeping with the Boss represents a new generation of Warren scholarship, offering a wide range of new ways to encounter his female characters.